Each level consists of pods of 8 consult rooms with associated support services, utility rooms and treatment/procedure rooms. There are a small number of service specific rooms – e.g. phototherapy room for dermatology, dental surgeries, and diabetes consult rooms. ​​​​​​​​​​​​​​​​​​​​Watch a time-lapse video of progress from the initial site preparation work in July 2016 until January 2018. 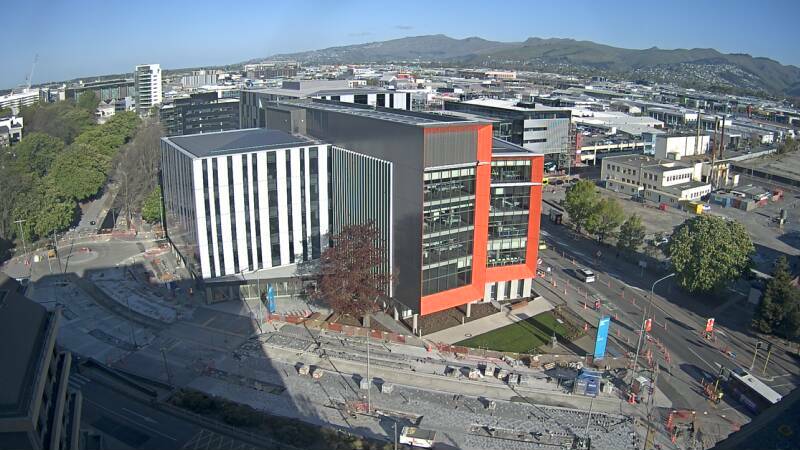 Watch the progress of the construction of the Christchurch Hospital Outpatient Services building.​ Webcam photo’s are updated every hour.